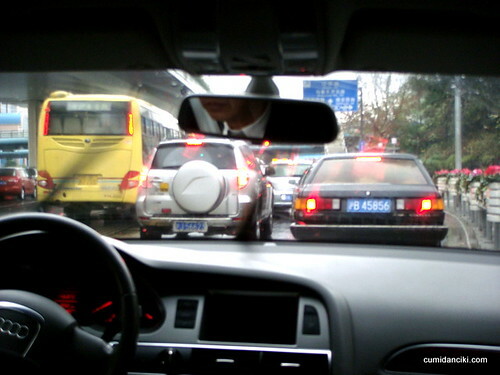 Shanghai Pudong International Airport & Traffic Mayhem. Greetings! Cumi & Ciki are still on holiday.. this is sent from an internet cafe.. somewhere.. from an island, on planet earth.. 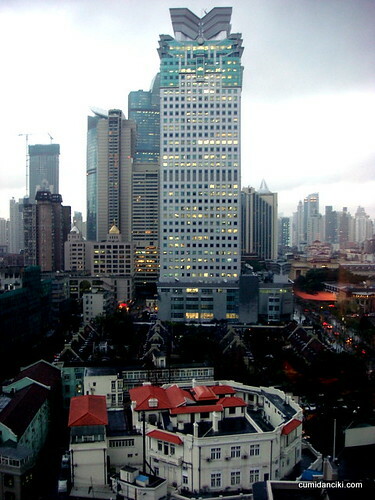 This post is about my recent trip to Shanghai. It took me close to 2.5 hours to get to my hotel from the Airport ( a journey that should have taken no more than 50 minutes to an hour). Why? 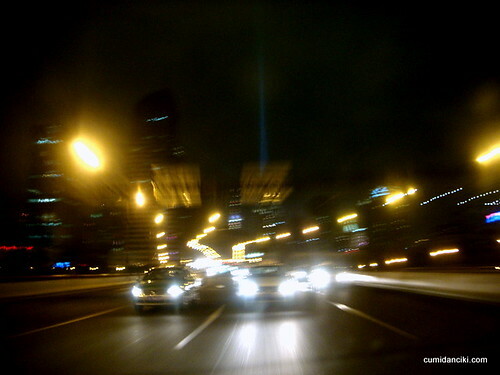 Because firstly, it was peak hour in Shanghai, at approximately 5pm. One might think that 2 hours is not a long time to get into the city centre from an International Airport (e.g. getting into Tokyo from Narita takes approximately that amount of time) but Shanghai Pudong International Airport that is a major aviation hub in Asia, particularly in the East Asian region and is the primary international airport serving Shanghai of the People’s Republic of China, is located ONLY around 30 kilometers from the city centre! 1.Terrible traffic law enforcement. Where are the cops when people are running red lights, speeding like fiends and changing lanes abruptly causing drivers to break so hard you feel like you have whiplash (I live in KL but this is far worse than the road rage in my town). 2.Insane taxi drivers – they seem to have a death wish on their heads. Upon arrival I had a limo pick me up, so that was different. However, over the next two days, taxing around really opened my eyes. Red means go, amber means go and green of course means GO! 3.Bad road signs. You will be able to understand the directions, only if you are a local who is familiar with all the roads, bridges, destinations. 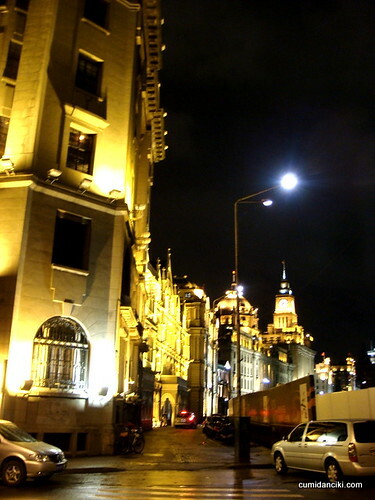 It is impossible for a driver from outside Shanghai to navigate just with a map. 4. 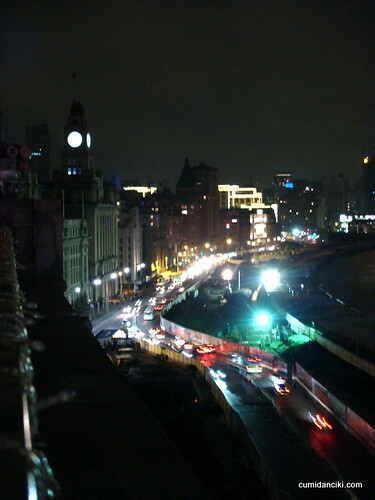 Major road works especially around the Bund area, due to preparations for the Paralympics Games and Expo 2010 Shanghai China . 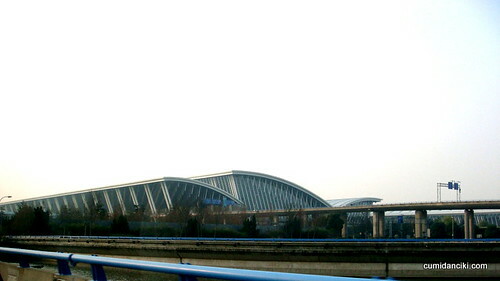 Shanghai Pudong International Airport is organized around two main passenger terminals, flanked on both sides by three parallel runways. Current airport master plans call for the building of a third passenger terminal, a satellite terminal and two additional runways by 2015, raising its capacity from the current 60 million passengers annually to 80 million, along with the ability to handle six million tonnes of air freight. 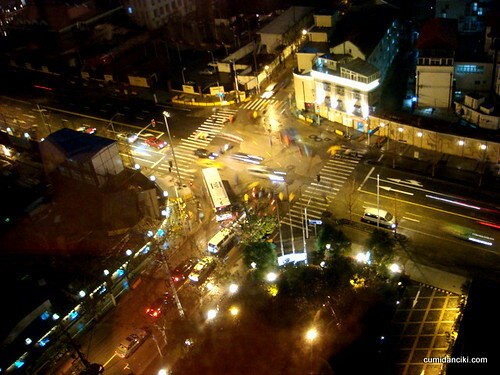 The view of the city from my hotel room. 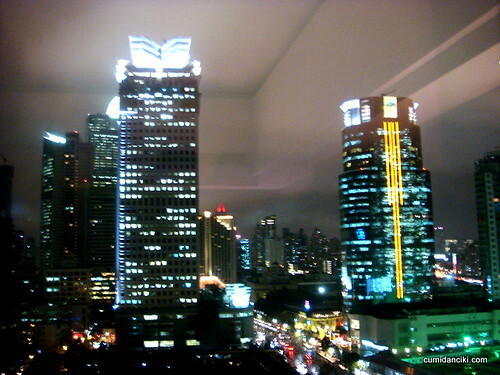 Shanghai by night.. and you can forgive most inequities.. including traffic. Well, almost. That bus in the middle of the road would not give way for 5 minutes.. causing traffic to build up and incredible traffic congestion. 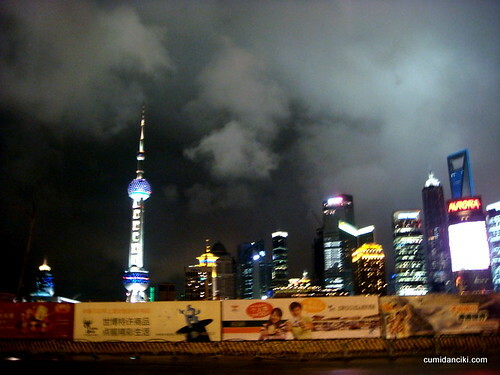 A view of the Pudong skyline and the road works going on along the bund. Traffic continues even at a late hour. Next articleGoodbye 2009, welcome 2010! This is a review of Shanghai traffic? yes and no.. food posts coming soon! Drivers all over the world is the same, no toleration when driving!! no shanghai food only got traffic?? i got stuck in that kinda traffic before. better prep earlier for ur return flight. No wonder we hardly see yr tweet! Come back soon! See u o nthe 1st or not? ?